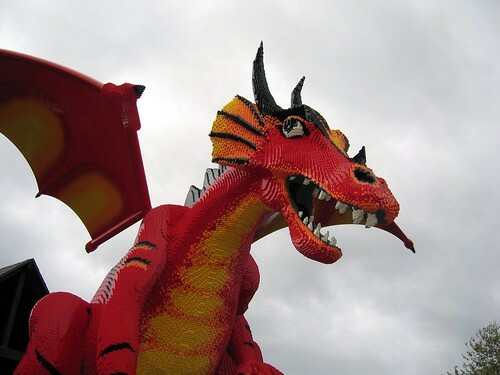 Second image, red LEGO dragon at LEGOland Carlsbad, CA, April 1 2006. Quite a gray and overcast day. Tracy»: I think the gray sky made for a great picture. Not only is there nice contrast and no glare, but it looks more ominous. Wonderful shot! Pretty soon, Matthew will be ready to go see the Legos! Most Interesting [25 photos] I've now got a couple hundred pictures online, and views have reached 4 digits. Not much, I know, but all things are relative. I'm curious to see which are the “Most Interesting”, and if putting them in a folder LABELED most interesting will make them more so. Looking at the photo-set as a whole, it's easy to tell what interests me. I expect the photos to change over time, but those interests have been fairly static the last few years.